Once the trophies are ready to be packed, we again take pictures of each and every trophy. 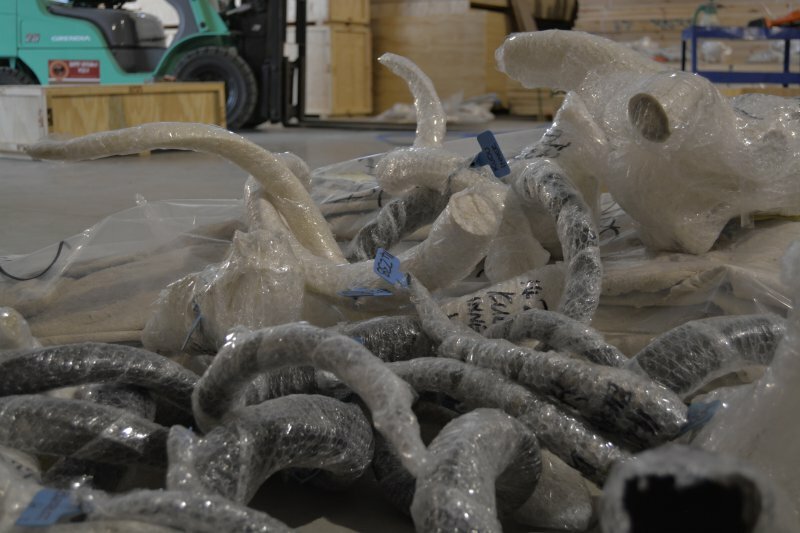 Each and every skull and / or horn is wrapped with “bubble wrap” to ensure that it gets maximum protection during transportation / shipment. Whilst the trophies are wrapped, the pictures are downloaded onto the client file and compared to the pictures that were taken upon receipt of the trophies. 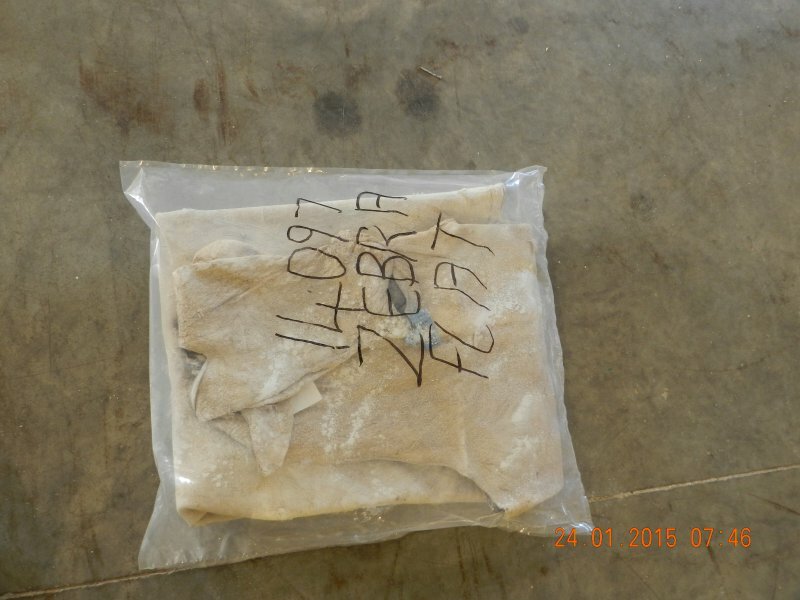 This is just to double-check ourselves..
All skins are packed separately in a thick, 150 micron plastic bag to ensure maximum protection during transportation / shipping. 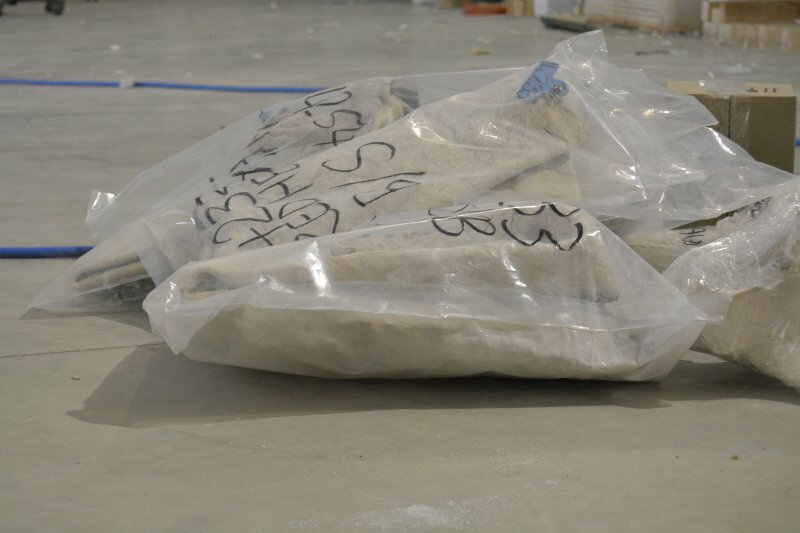 These plastic bags are then heat-sealed and cut to size, to ensure a neat and visible item inside. Every item, skull / horn and skin is then marked with the hunter’s batch number (client number) and trophy description on it. This makes it easier for US Fish & Wildlife / USDA / CDC to identify the item on inspection, should they decide to do so. It also assists the taxidermy with the necessary identification of the trophy part(s). Depending on the overall size of the crate, all crates are purposely constructed from 38 mm x 50 mm (1½” x 2″) or 50mm x 50mm (2″ x 2 “) pine beams, depending on overall crate size and weight. Beams are nailed together with a high-pressure nail gun, using 100mm (4”) nails, to ensure a very firm and sturdy construction. Cladding is done with ¼” (6mm) plywood, which is also nailed and stapled to the pine frame. 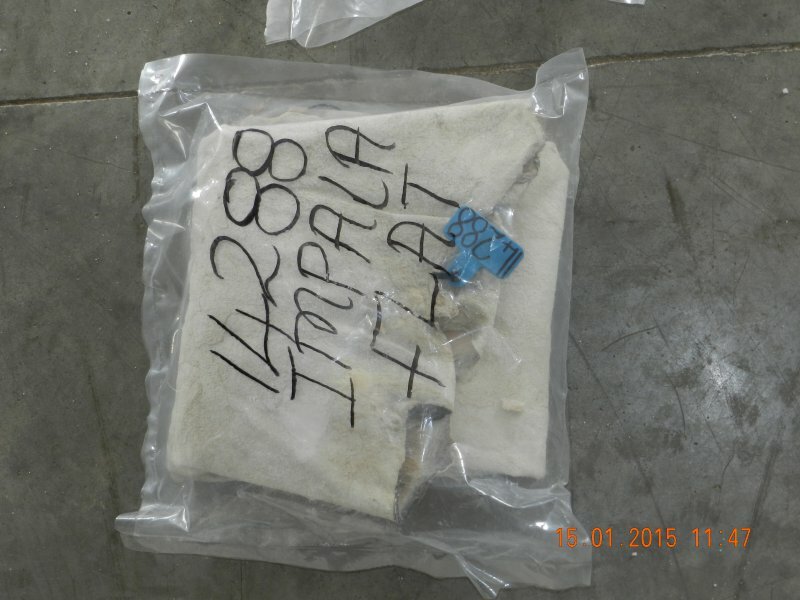 As from January 1, 2005, TSA is adhering to international legislation as set out by the Animal and Plant Health Inspection Services (APHIS), USDA, in the Federal Register, Vol. 69, No. 179 of September 16, 2004. The regulations in 37 CFR Part 319, regulates the Importation of Wood Packaging Material. The effective date for implementation of the legislation in USA, was September 16, 2005. 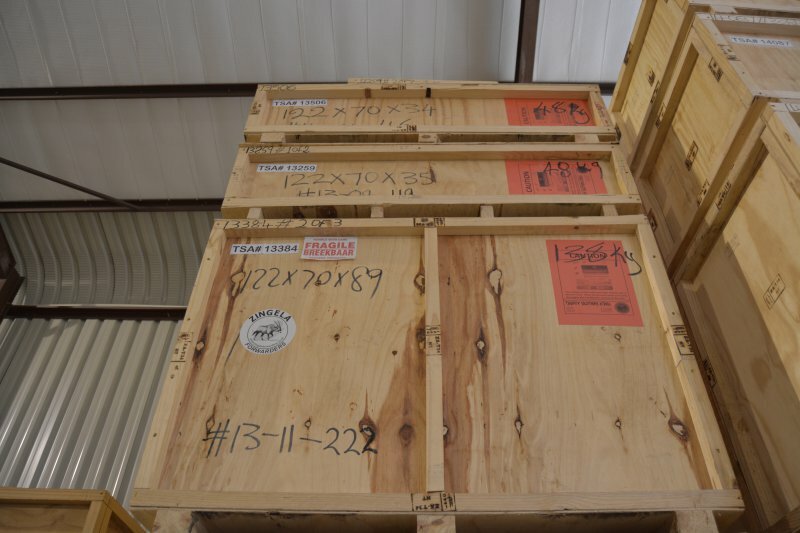 Once the crate is finished, all trophies are very carefully packed in the crate after being double-checked, according to Collection Register and necessary Export Permits. According to USDA / CDC requirements, all swine (warthog / bushpig) and primate (baboon / monkey) trophies are packed and crated separately. 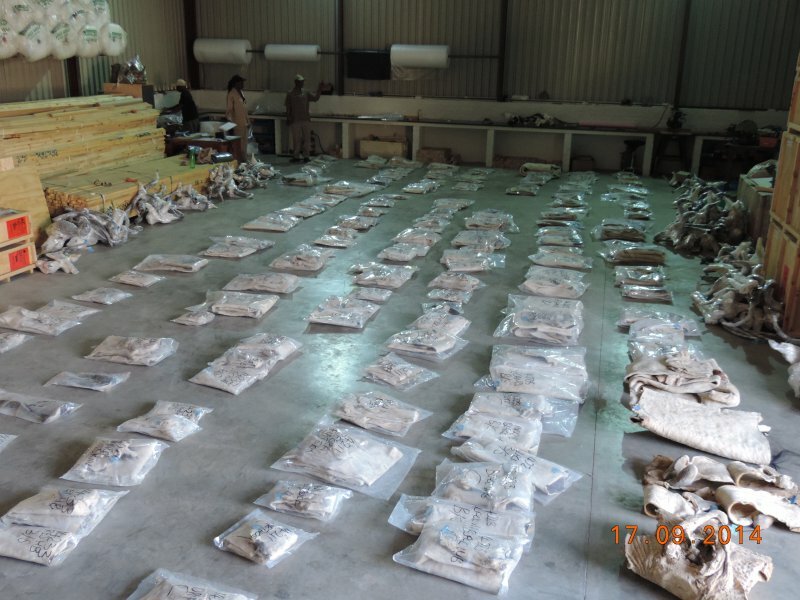 All small skulls (pigmy antelopes and small cats) are packed into small cardboard boxes, which is then packed inside the big crate, to ensure that no possible breakage can occur during transportation and shipping. The cost of packing is included in our prices. Before and after all trophies are packed, the crate is treated with an insecticide, K-Othrine EC15. It is a product by Bayer and is registered with the United Nations under number UN2903. It is an emulsifiable concentrate that provides rapid flushout and knockdown of cockroaches, bugs, ants and fleas. It also controls skin and hide beetles. A big warning label is also attached on the outside of the crate to inform all relevant people of the disinfection. On completion of all mentioned phases, crates are handed over to our preferred Shipping Company, Zingela Forwarders, to be exported to the client’s choice of destination. 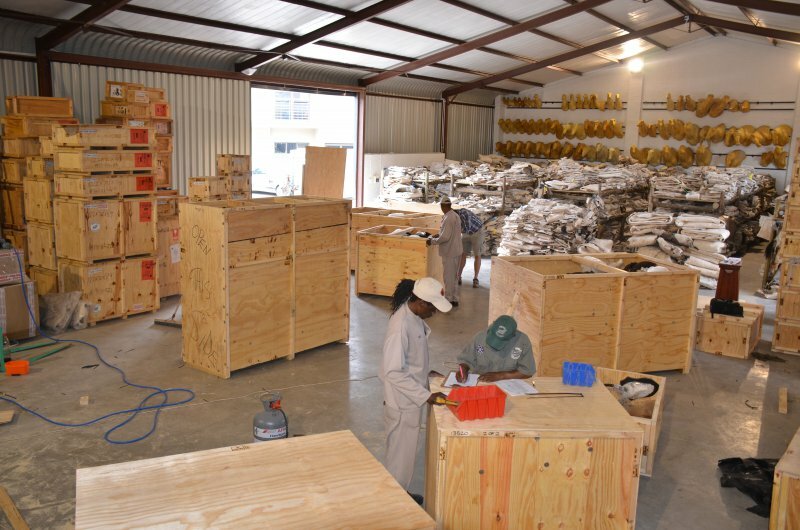 On arrival at the Shipping Company’s Facility, the crates are checked into their system, after which the client is notified within 72 hours. The final phase of shipping is taken from there. 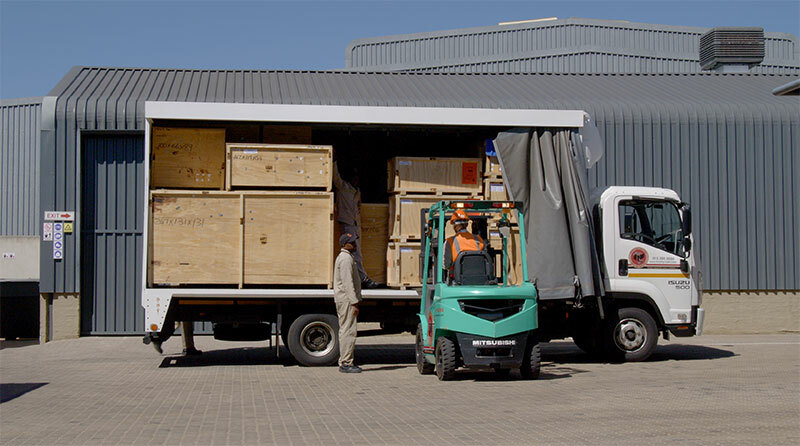 Should a client prefer to make use of another Shipping Company, our preferred shipping company’s premises will serve as a hub, from where the consignment will be dispatched again.